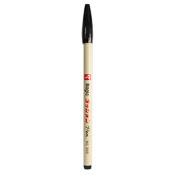 Art Primo Pen 15 Marker Our favorite little tagging marker is back. 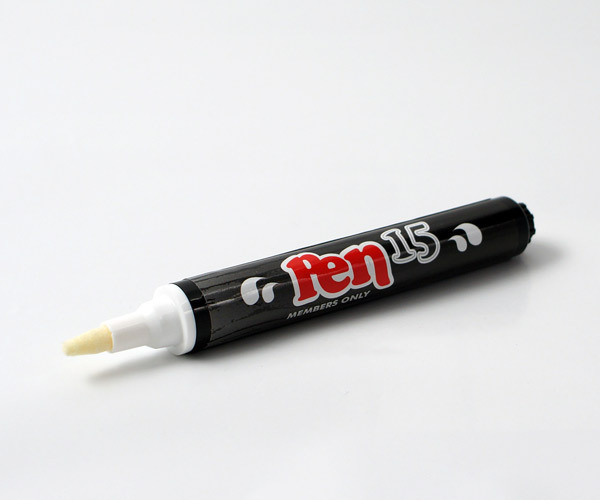 The PEN15â„¢ is a Hard Body valve marker with reversible nib. Pre-loaded with the most fade resistant, pigmented ink available, you will get a long lasting image for years to come. We love this marker for quick writes and slaps. Also perfect for industrial applications. Perfect for on the go! Indelible on any surface. Works well with Hello my Name is Stickers. Long and strong and down to get the friction on; with Art Primo's Pen15 Hard Body technology, cutty tags are not a problem. You can alternate between chisel and bullet by flipping the nib, you too can be part of The Members Only Club. Use this on slaps, stickers and whatever graffiti or street art you want to do. King taggers know that these kill with Hello my Name is Stickers. 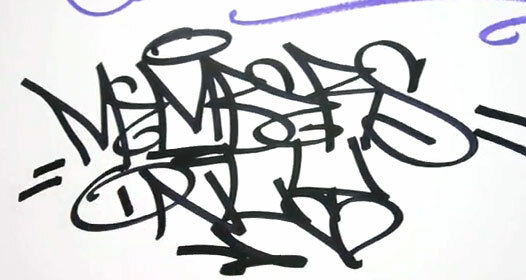 Best for tags, throwies and other graffiti or graff depending on how cool you are. Our favorite little tagging marker is back. 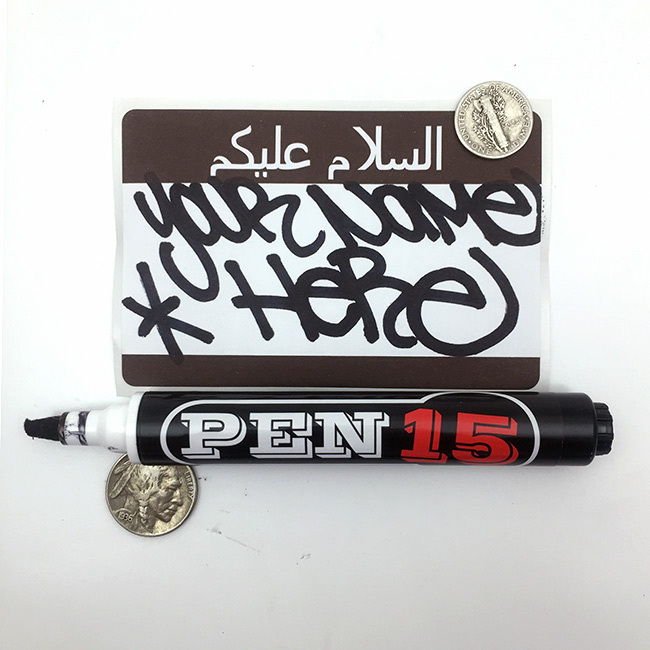 The PEN15â„¢ is a Hard Body valve marker with reversible nib. Pre-loaded with the most fade resistant, pigmented ink available, you will get a long lasting image for years to come. We love this marker for quick writes and slaps. 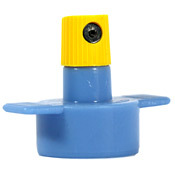 Also perfect for industrial applications. Perfect for on the go! Indelible on any surface. Works well with Hello my Name is Stickers. Long and strong and down to get the friction on; with Art Primo's Pen15 Hard Body technology, cutty tags are not a problem. You can alternate between chisel and bullet by flipping the nib, you too can be part of The Members Only Club. Use this on slaps, stickers and whatever graffiti or street art you want to do. King taggers know that these kill with Hello my Name is Stickers. 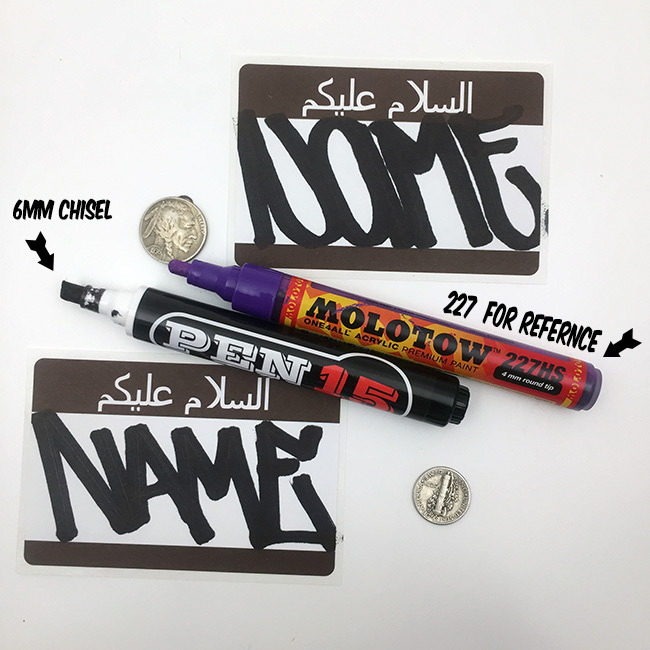 Best for tags, throwies and other graffiti or graff depending on how cool you are. 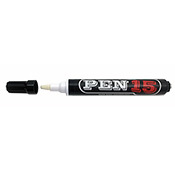 Who doesn't love Pen15? :) It's a great pen for slaps and general writing. The reversible nib is awesome, as is the ink inside. I am curious as to why the pump valve inside though. The only reason i didn't give it a perfect score was two-fold. Price point, and the nib. Let me explain. The nib in my experience breaks down pretty quickly resulting in a less than clean line. if that's the style you like, then by all means have at it. I would have liked it to be more durable. 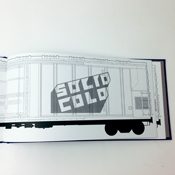 bear in mind, i was using it on slaps and in a black book. Not on any crazy surfaces, thus why i'm mentioning it. 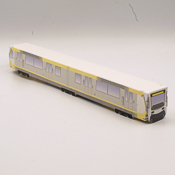 This product was added to our catalog on Saturday February 27, 2010.